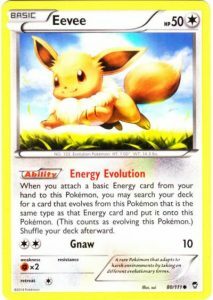 Check out all the Trading Card Game cards featuring Eevee, and how someone got to Worlds with a deck based on Eevee! I have elected to take on the challenge of acknowledging the fact that Eevee exists in the TCG (that’s the Trading Card Game). 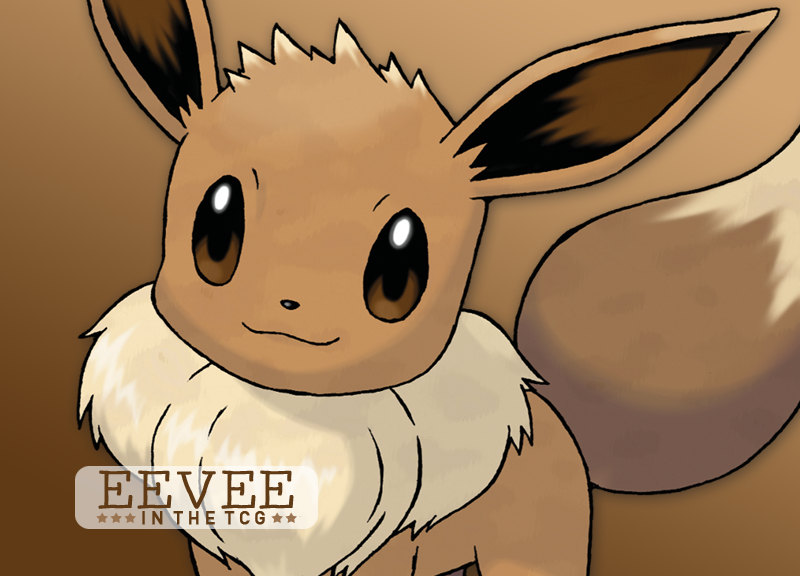 Eevee is very well represented in the TCG, with its 28 appearances making it one of the most frequent visitors to new sets. It has also featured in a couple very strong decks. Eevee has seen use in two top-tier deck archetypes in the history of the TCG. EX Delta Species 69/113: Only Eevee to date to make a Worlds final. 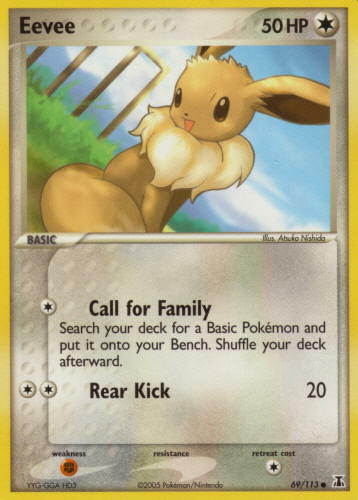 This deck type, used by Jimmy Ballard to reach the finals of the 15+ age group at the 2006 World Championships, revolved around using the many types of Eevee’s evolutions to always strike the opponent for the double damage incurred by their Weakness.  All versions used four Eevee. Jimmy used the EX Delta Species 69 variant because its Call for Family attack allowed him to search his deck for any basic Pokémon and place it on his bench. This could be another Eevee or a Pidgey (EX FireRed and LeafGreen) to evolve into Pidgeot (EX FireRed and LeafGreen) for its Quick Search PokéPower. The EX versions of all five currently available Eeveelutions from EX Delta Species and EX Unseen Forces were used for their respective PokéPowers, with each one causing your opponent harm upon evolving from Eevee. Jimmy elected to use two each of Flareon EX, Umbreon EX, and Espeon EX, and one each of Jolteon EX and Vaporeon EX. 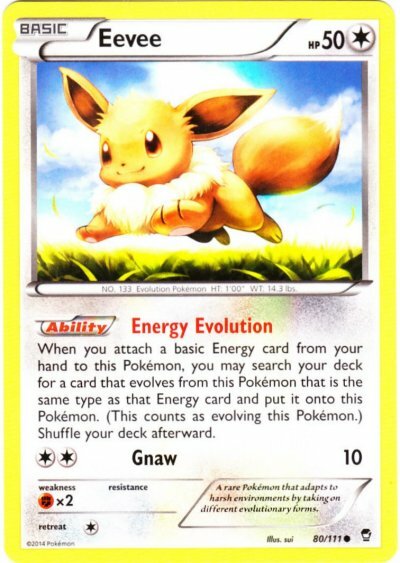 Essentially, here the evolutionary gimmick of Eevee made up the basis of the deck. Furious Fists 80/111: First Gen 6 Eevee. This deck involves using Flareon (Plasma Freeze 12)’s Vengeance attack to do tons of damage for a mere Double Colorless Energy. Vengeance does 20 damage plus 10 more for each Pokémon in your discard pile, which can end up as a LOT of damage. The trick is getting to the magic number of 16 Pokémon discarded to OHKO the big EXes that plagued the format. The deck was struggling but existed in 2015, but then TPCi banned Lysandre’s Trump Card from play. This resulted in a huge surge in popularity, being a top threat in the 2016 format. The Eevee used varies with what was allowed. Plasma Freeze 90 was popular in 2015 due to its ability to search out a Flareon with its Signs of Evolution attack, while Furious Fists seems to be the Eevee of choice now because of its ability to search out a Flareon revolves around its Energy Evolution Ability. Of course, there’s the other cards to consider as well! Check out all 28 in existence and admire their artwork along with the attacks they have in the gallery below. Which one is your favourite? Let us know in the comments! 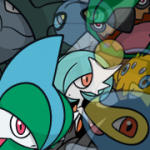 TCG images courtesy of Serebii and Bulbapedia. Edited by Astinus, bobandbill and Jake.